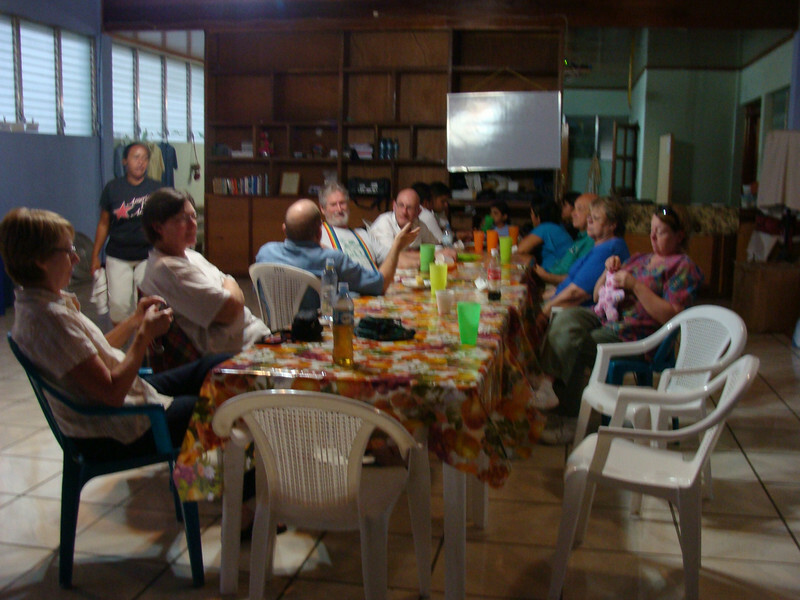 A group of seven from Huntsville, Texas came to work with the mission from February 2 through February 19th. While here they remodeled and upgraded a school in Tomoyunca, a community about 35 kilometers North of Jinotega. In addition to the construction work several of the group worked in the mission clinic. While the group was at the mission they helped prepare and serve a valentine's dinner for the staff. They also had the unusual experience of watching the super bowl in Spanish.